Are you looking for a corporate team building activity that is different to the usual track race days, zip wires and go karting? Then look no further than Lakes Escapes for a fun team building game that has grown increasingly popular. We are the first in West Cumbria and are ready and waiting to give your employees an experience that will not only have them working together but enjoying themselves at the same time. Live escape team building activities involve a team of friends or colleagues trying to escape out of a themed room by solving various puzzles, riddles and all sorts of hints and codes. Organisation of teams between 2-18 people. Groups over 6 will be divided between our 3 rooms. The teams are then placed in a themed room. Teams have 60 minutes to complete the game objective and must work together to solve challenges, unravel mysteries and detect clues. During the live escape game, colleagues will have to use their mental abilities and observational skills collectively as they attempt to withstand the intensity and pressure as time ticks away! How will the Escape Team Building Game benefit your team? This kind of team building activity allows colleagues to think creatively whilst facing the challenges involved in an escape room. This fun team building activity brings colleagues closer together and upon completion, generates a sense of achievement amongst teams. If you are trying to relight the flame of team spirit amongst your team, then you are in the right place with us at Lakes Escapes. Contacting us to discuss your requirements and preferences before booking will allow us to help organise the structure of your day to ensure that your team gets the best from our team building activities. For groups over 18 we can arrange a conference room where non players can wait until it it their turn to play. "This was my first time at an escape room and enjoyed it so much we plan on returning soon. 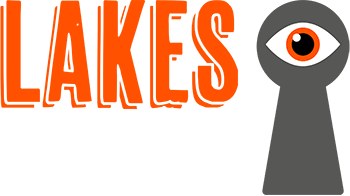 I would highly recommend Lakes Escapes and look forward to visiting again soon!"